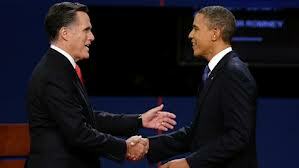 The nation gathered around their television sets last night for the first debate in the 2012 Presidential Election. While the suspected topics of health care, the economy, and Cthulhu took up a large portion of the debate between President Barrack Obama and his challenger, Massachusetts Governor Mitt Romney, the surprise topic was PBS. The candidates meeting before the debate. The tweet exploded across the internet, some in support of it, many more coming down on the large avian for what they felt was crude and a direct threat to a Presidential Candidate. Bird Bird went on live television this morning to address the issue. Speaking with “Today” show host Matt Lauer, the normally docile and friendly bird flew off the handle. 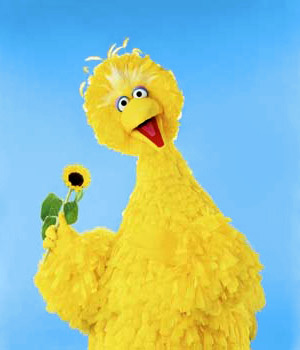 When Lauer tried to calm Big Bird, the Sesame Street performer told him to “shut the [censored] up and listen to the Bird. Okay? Jesus [censored] Christ!” He then stood, threw his chair at a cameraman, and stormed off set. Brad C. Hodson is a writer living in LaLa Land. His novel DARLING will be released on October 26th from Bad Moon Books (http://www.badmoonbooks.com). To see more of his work, check out his Bibliography. You can also follow him on Twitter@BradCHodson. This absolutely delighted me. Finally, the truth comes out! Let’s just hope Double B gets the help he needs.